“With this in mind, we developed the rotating buoyancy module design to roll on the seabed to ensure predictable pipeline behaviour. The modules practically eliminate rogue buckles and reduce axial walking in the pipeline. The new design reduces the quantity of modules needed to create safe buckling zones and this can lead to a significant reduction in overall project costs,” adds Bray. 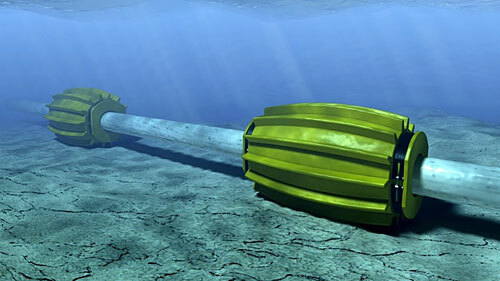 Rotating Buoyancy Modules can be used on subsea pipelines or flowlines to reduce berm creation and create predictable, safe bucking zones. The modules practically eliminate rouge buckling and can reduce project costs for customers.